A trust is a legal arrangement in which your assets are held by a third party (your trustee) for the benefit of future beneficiaries. A revocable, living trust gives you the power to change these arrangements as you wish or as your circumstances require. While there is a commonly held misconception that trusts are only for wealthy people, the fact is they play an important role in estate planning for people at all income and assets levels. The term ‘trust fund’ is often associated with people who have high levels of wealth inherited from their parents or grandparents. While this is still the case in some cases, trusts now have a much broader appeal among people of all asset levels. You own property or assets in another state. In the event of your passing, all property and assets you possess must go through the probate court of the state you reside in. 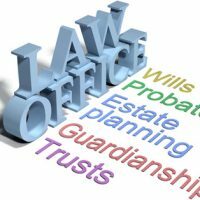 If you have holdings in other areas, these will be subject to the probate process in that state. Known as ancillary probate, this can be a time consuming and costly process. A trust can help you avoid this. As a new parent, your primary goal is ensuring your children are protected and provided for. Unfortunately, many people fail to factor in the unexpected. If you are your spouse are involved in an accident or otherwise become incapacitated, your trust will help to manage your child’s inheritance until they are old enough to make their own financial decisions. You have family members with special needs. If you have family members with physical or developmental disabilities or those who struggle with mental illness or drug and alcohol dependency, a trust can help to manage their inheritance. A revocable, living trust gives you control of how and when distributions are made, while designating in advance the types of care they receive. You want to provide for your own long term care. According to the Social Security Administration, roughly one out of every four Americans becomes disabled before reaching retirement age. If you are unable to provide for yourself or lack the ability to make decisions on your own behalf, a trust can help ensure you get the care you need, while sparing your loved ones from having to go through guardianship proceedings. At Cavallo & Cavallo, we can recommend legal options to help ensure you and your loved ones are protected, now and in the years to come. To discuss whether a trust is right for you, contact our New York estate planning attorneys and request a consultation in our Bronx or New Rochelle office today.